Boracay Resort is one of the hottest travel destinations in the Philippines attracting thousands of foreign travelers every season. The world famous Boracay Island is located in Aklan province 345 kms. South of Manila. Boracay Philippines is a beautiful small island surrounded by coral reefs and located one kilometer north-west of Panay in the island Visayas. It is 7 kilometer long and 1 kilometer width at its narrowest point. Boracay is made up of three little communities: Yapak in the north, Balabag in the middle, and Manoc-manoc in the south. Hilly elevations up to 100 meters above sea level characterize Yapak and Manoc-manoc. Intertwining trails link the small three villages together but sometimes may lead to a lush tropical jungles. Boracay Island is accessible by air from Manila or Cebu through the two principal air gateways: the Caticlan Airport and the Kalibo Airport. Public transportation and Electricity are remain relatively scarce. Once on the island, you will find out that getting around is easy and simple. There are three categories of transportation: motorized tricycles and pedicabs shared with other passengers, individually rented motorbikes and bicycles, and shuttle service offered by some hotel owners. Taxi's are not available however, since everything in Boracay is more or less within walking distance, you will find most likely to join the majority of visitors moving around Boracay Island on foot. From Manila’s domestic airport, take flights to Boracay either via Kalibo (1 hour and 45 minutes away) or via Caticlan (10-20 minutes by boat). From Kalibo airport, air-conditioned bus and vans for hire will take you to the Caticlan Jetty Port, where boats are stationed to take you to Boracay Island. Motorized tricyles and pedicabs will take you from Caticlan Airport to the jetty port, 3 minutes away. While from Dumaguete, the cheapest route is to take a bus to bacolod (approximately 6 hrs). Then a boat ride to Iloilo, and a bus again for Caticlan. Most visitors prefer to fly via Caticlan because of the much shorter travel time to Boracay itself: land transfer from Kalibo takes up to three hours, while it could be as short as 40 minutes from Caticlan including the brief banca(boat) ride. Even if you are nervous about flying in small aircraft, the shorter travel time may be a clincher. 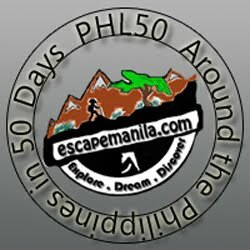 Flight fares range from 5,000 to 6,000 Philippine pesos (US$1=P49.64). Boracay has been known by Filipinos as the "Number One Tourist Spot In The Philippines". While a British publication known as TV Quick, awarded Boracay Island as the Number One Tropical Beach In The World! Not just for Filipinos, Boracay has always been one of the top of the list destination for vacations even by foreign people. Boracay's beauty is very well-known all over the world.